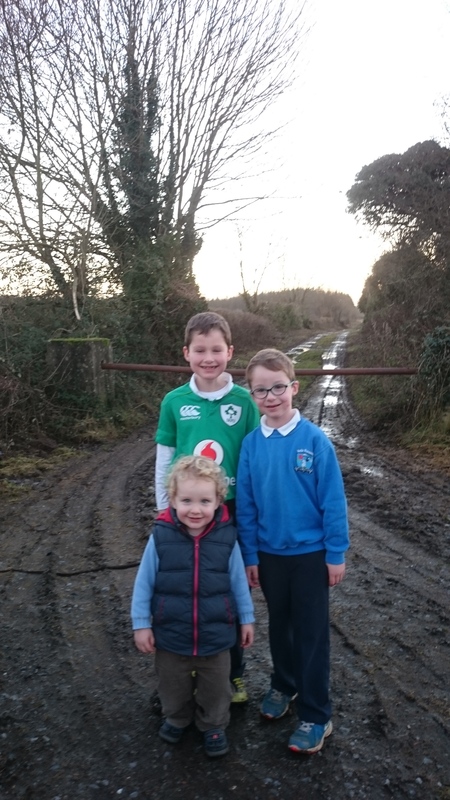 My townland: Aughnagomaun – by Rory Crosse. My name is Rory Crosse and I live in Aughnagomaun. Aughnagomaun is a townland which is in the parish of both Moycarky-Borris and Boherlahan-Dualla. My Grandad Jerry Crosse grew up in Aughnagomaun too, but he lived in the parish of Moycarky-Borris. I live in the Boherlahan-Dualla parish, just about! Our neighbours across the road are in Moycarky parish. Aughnagomaun means Fort of the Hurley. The Irish name for Aughnagomaun is Áth na gCamán. It is in the Ballysheehan Electoral Area. The other townlands bordering Aughnagomaun include Ashill, Ballinree, Ballytarsna, Coolkip, Forgestown, Gaile, Graigue, Killough, Knockstowry and Sallsquarter. Aughnagomaun has an area of 2.02 square miles. The motorway from Cork to Dublin passes by my house in Aughnagomaun. The old main road also passes by my house and so does the very old main road which is no longer in use and has a barrier up. My Grandad used to go to school in Ballytarsna on this road when he was small. 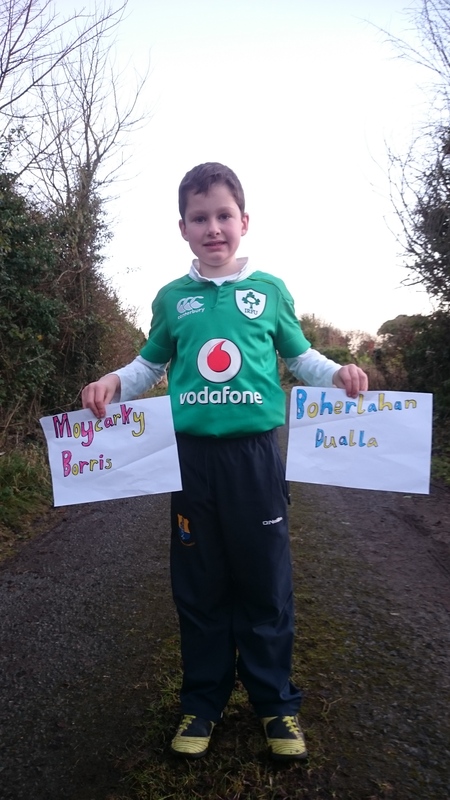 Rory Crosse, 1st Class, Little Flower National School, Ballytarsna. Click to expand image below.